From gorgeous chateaux to beach side hotspots and historical hotels, read Bon Vivant Travel‘s guide to the best hotels in the South of France. The Cote d’Azur has been the summer destination of choice for the great and the good for generations and it still retains its fashionable, glamorous reputation today. Here’s a selection of our favourite hotels in the South of France. 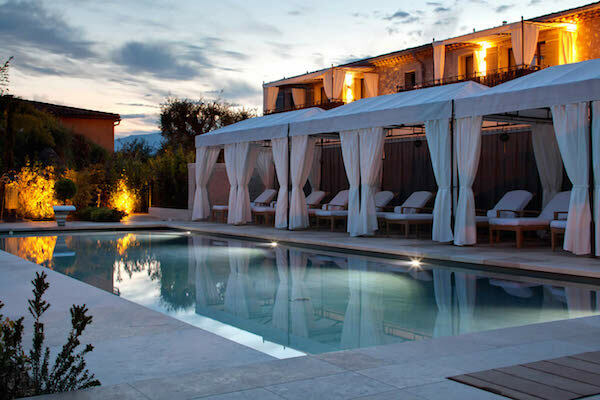 Located on the outskirts of the medieval village of Mougins in a converted eighteenth century farmhouse, less than half an hour from both Cannes and Nice, Le Mas Candille is classic, understated and elegant. 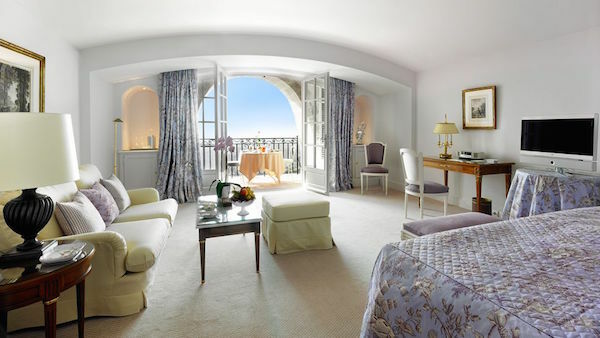 There are 39 rooms and 7 suites, with a Provençal design that could be described as restrained opulence. 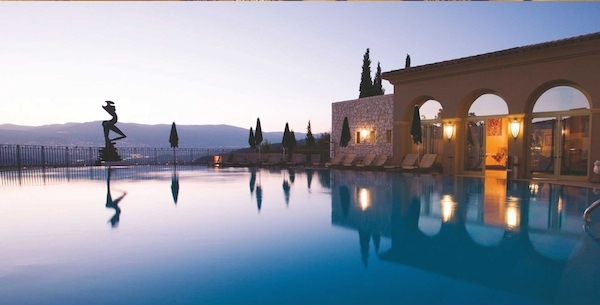 The Michelin starred restaurant is a real attraction as is the large outdoor pool and spa area. Cap Estel is an exquisite hotel in a majestic setting in Eze that fully captures the essence of the Cote d’Azur. You are immediately struck by its gorgeous setting – the impressive driveway meanders through lush greenery, leading to the palatial lobby and reception area. Meticulously manicured lawns and pristine plants lead to a saltwater pool that sits ceremoniously at the edge of the cliff, stretching out to sea. Cap Estel is a grand property that also feels rather bijoux. There are only 18 rooms, 14 of which are suites, and it feels like your own private (yet enormous and lavish) home. What started as a café bar with a terrace in 1920 is now home to one of the chicest restaurants in the South of France where the terrace is one of the most sought after tables in the summer. Where once were Matisse and Miro (their artworks are located around the property) you’re now more likely to see Joan Collins or Elton John. The 13 rooms and 12 suites feel rather simple and rustic, but the pool area is a relaxed gem and the art around the property is spectacular. Around the cap from the infamous Hotel du Cap Eden Rock, the 27 room Cap d’Antibes Beach Hotel is very different from almost every other hotel in the French Riviera: it is modern in style and design. 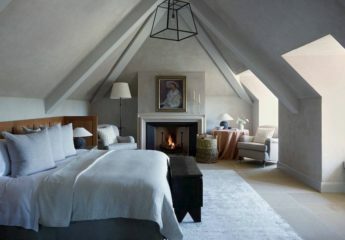 Rooms are minimal and contemporary, without any Provençal colours or fabrics. 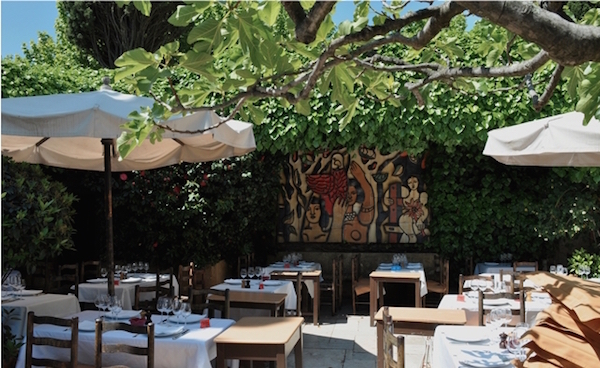 There is an open-air Michelin starred restaurant, Les Pêcheurs, but the real scene is at the beachside restaurant, Le Cap, which feels more like Ibiza than the Cote d’Azur. 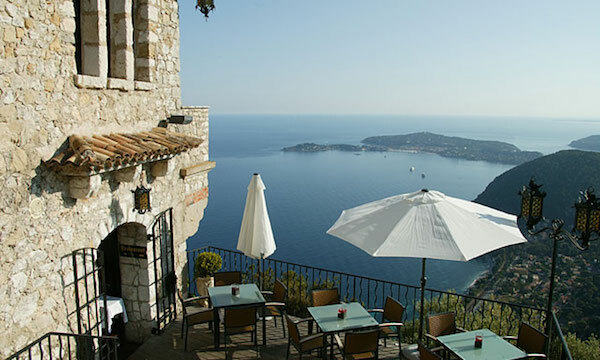 Perched on a cliff more than 400m above sea level is the gorgeously quaint village of Eze is the intimate 12-room hotel, Chateau Eza. Built into the rock, the hotel has the feel of a medieval castle, which is truly enchanting. There is no pool, which could dissuade visitors in the summer months, but I highly recommend visiting the Michelin starred restaurant, if only to enjoy an aperitif on the terrace and appreciate the stunning view. The medieval village of Saint-Paul de Vence is something to behold: a labyrinth of cobbled streets and alleyways housing art galleries, restaurants and shop that is a must for visitors to the region. Among them you’ll find the intimate boutique hotel, Le Saint Paul. With a traditional Provencal design, my favourite part of the hotel is the beautiful and secluded terrace where you can dine under the stars and surrounded by walls of stunning flowers. From its elevated position outside the village of Vence, the formal, yet modern, elegance of Chateau St Martin is a haven of tranquillity. 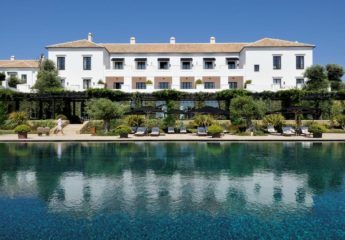 Enjoy lunch on the stunning terrace; sit by the gorgeous pool; play tennis on one of the clay courts; or enjoy a fabulous massage at Spa Saint-Martin Sisley. 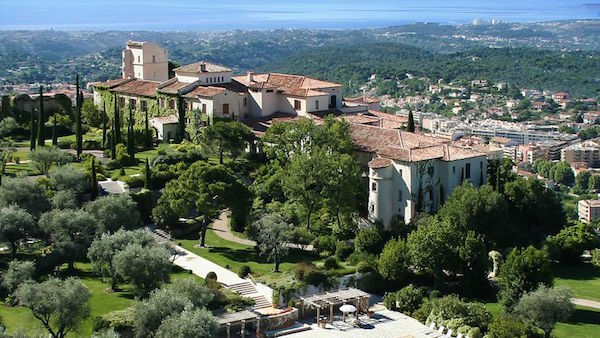 Chateau St Martin is certainly one of the best hotels in the South of France. On the doorstep of Provence, where the Cote d’Azur rises towards the mountains, you will find Le Mas de Pierre, a beautiful place to spend a few days in the countryside surrounding the medieval village of St Paul de Vence. The hotel itself is housed in 7 ‘bastides’, which blend perfectly into the landscape. The 54 rooms have unique features such as Burgundian stone and oak floors with Versailles parquetry, which make the property feel more like a chateau than hotel. 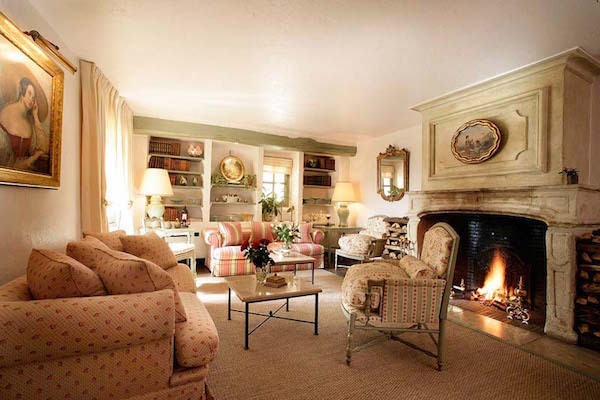 A perfect Provencal getaway! 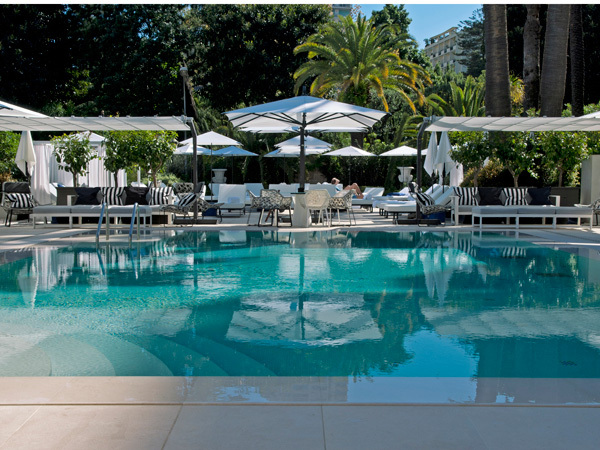 The iconic Hotel Metropole is located right on the main gardens of Monte Carlo, close to the casino and the main square. The ornate exterior of the hotel dates back to the Belle Epoque period and the interior holds a world of decadence in plush velvets. Rooms are designed in floral prints and rich fabrics and there are two Michelin starred restaurants from Joel Robuchon. The Karl Lagerfeld designed Odyssey pool and restaurant is the city’s chicest new address. 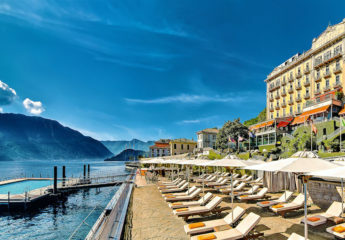 Take advantage of our Virtuoso contacts and relationships with the best hotels to secure VIP benefits at the best hotels in the South of France – contact Bon Vivant Travel now for our free luxury travel planning services. Read some of our other travel guides including Mallorca, St Barths and Anguilla. Subscribe to the Bon Vivant Journal here.